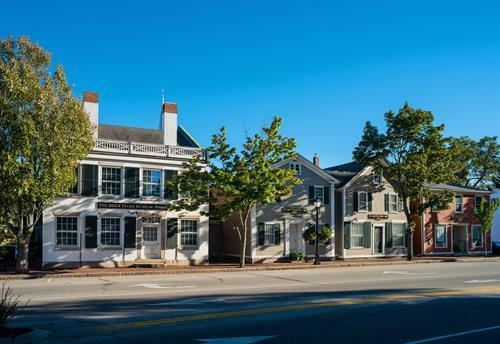 The Brick Store Museum celebrates the human experience in the Kennebunks and surrounding communities. Visitors will experience six galleries of rotating art and history exhibitions, unique programs, walking tours, and more. Family backpacks can be rented out for a day of activities to learn in-depth about town history; walking tours of the Beach and the Historic District are popular (May - September). A large research archive is available for researchers looking for more information on town history, local genealogy, and more. Appointments strongly suggested, please call (207)985-4802. Annual events include: Second Fridays (open until 8pm, June-September); Shipbuilding Odyssey (trolley tour through shipbuilding history, June and August); Southern Maine Steampunk Fair (first Saturday in August); the All Souls' Walk (last Saturday in October); and the Holiday Tea (second Sunday in December). New events are always announced on the Museum's website.